In yesterday's piece I tried to explain the dichotomy of why bank home loans are growing at a very robust pace. At the same time, the inventory of unsold homes with builders in the top eight cities in the country, hasn't been coming down. In 2018, banks gave total home loans amounting to Rs 1,60,447 crore. Typically, banks are responsible for around two-thirds of the home loans given out in a year. The remaining home loans are given by housing finance companies like HDFC. Hence, the total home loans given out in 2018 by the financial institutions worked out to around Rs 2,40,000 crore. What does this mean? It means that people are buying and selling homes, irrespective of what the builders tell us. Over the years, the builders have blamed the lack of home sales on high interest rates and the reluctance of the Reserve Bank of India to cut interest rates. If that was the case, how are home loans continuing to grow at such a fast pace is a question well worth asking. Let's try and dig a little more into this, using some more numbers. As per HDFC, one of the bigger players in the home loan game in the country, the size of the average home loan that it gives out is Rs 26.9 lakh. The average loan to value ratio is 69%. This basically means that the price of an average home being financed by HDFC stands at Rs 39 lakh (Rs 26.9 lakh divided by 69%). Now it is worth remembering that this is the price of an average home being financed, on paper. In large parts of India there is always a black component involved. Assuming a black component of around 20% over and above an average price of Rs 39 lakh, the real price of an average home financed by HDFC comes to Rs 46.8 lakh (Rs 39 lakh multiplied by 1.2). Given that we are dealing with averages here, and the fact that the value of the average home loan financed by public sector banks is less than that of HDFC, and also the fact that the black proportion of the home price varies across the country, we can safely say that there is still a lot of demand for homes priced between Rs 40-55 lakh. Homes in this price range are being bought and sold and in the process being financed by banks and housing finance companies. Hence, the entire argument about high interest rates and low home sales, offered by builders is basically bunkum. Homes are selling. It's just that the unsold inventory of builders isn't. Let's try and understand why. Now what is the price of homes which the builders have as inventory and have been unable to sell over the years. In 2018, as per a report published by Liases and Foras, a real estate research company, the total number of unsold homes in the top 8 cities in the country stood at 9,43,680 units. The value of these unsold homes was Rs 7,77,183 crore. This basically means that an average unsold home costs around Rs 82.4 lakh (Rs 7,77,183 crore divided by 9,43,680 units). The demand for unsold homes is in the range of Rs 40-55 lakh, as I mentioned earlier. What the builders are offering costs more than Rs 80 lakh on an average. This means that builders need to cut prices of their inventory by at least 33% or a third, to get buyers interested. At the upper end, the cut needs to be around 50%. Of course, this is the economics of it. For the demand and supply to meet and the inventory to clear, this needs to happen. But just because something needs to happen, doesn't mean that it will happen. Builders have resisted price cuts for years now, and given that, it is not that they are suddenly going to start cutting prices now. What does not help is the fact that profit margins of builders have fallen over the years, making a substantial price cut even more difficult. This basically means that builders will continue sitting on their inventory and buyers won't buy the unsold homes. The only way this situation can end if builders are not able to raise fresh finance and there is tremendous pressure on them to repay the debt that they have taken on. Over the years, the builders have managed to get around this problem in various ways. The larger point being that at the right price, there is still a lot of demand for homes to live in. This explains why the so called affordable housing projects have been selling like hot-cakes. Also, as I explained in yesterday's piece, more and more buyers now prefer buying ready to move in homes, and not under-construction homes that builders have to offer. 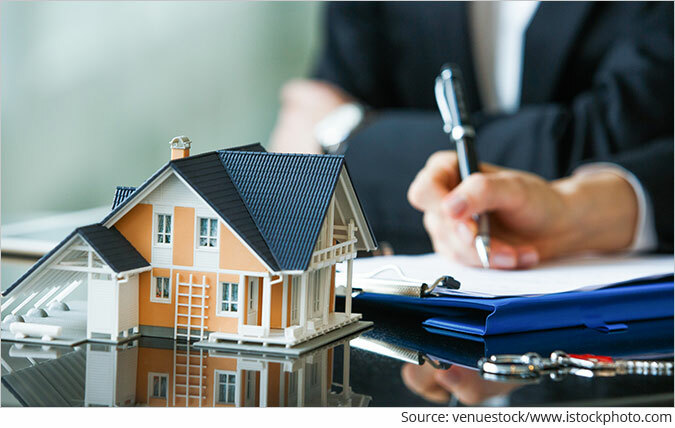 In this scenario, more and more deals are happening between buyers and investors, who had bought second and third homes in the hope of a price appreciation. The price appreciation hasn't happened and the investors are now looking to sell out. Given this, they are more amenable to price negotiations than builders are. We request your view! Post a comment on "For Buyers to Be Interested, Builders Need to Cut Home-Prices by At Least a Third". Thank you for posting your view! 1 Responses to "For Buyers to Be Interested, Builders Need to Cut Home-Prices by At Least a Third"
Unemployment is all time high in India. Private investment as percentage of GDP is almost is at all time low. Unofficially bank NPAs are at 15 lakh crores or maybe higher. NBFCs are finished. Big corporate houses like TATAs, Birlas sand ADAG are struggling. Indian economy is on the verge of deflation. Demographic dividend has become demographic curse. Present government is only concerned about fiscal deficit and does not want to spend. In fact great depression of 1929 was prolonged because governments did not intervened which resulted in WW2. In this kind of economy housing precises should at-least collapse by 80%. Internationally also, the condition is not rosy because of huge amount amount of debt and money printing. This time recession will be much worse than 2008. At this time the best investment is Gold.